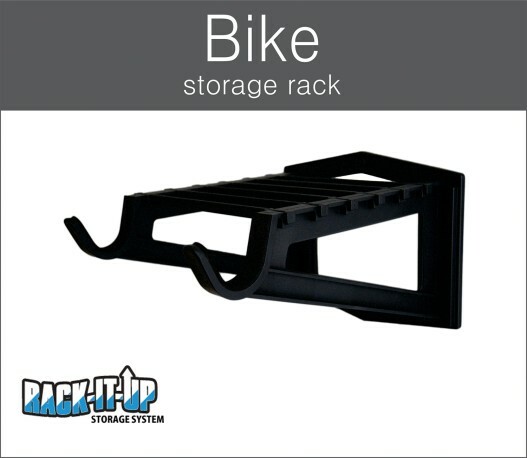 The Rack-It-Up Bike Storage Rack is designed to enable you to safely and neatly store your bike, whether indoors or outdoors. Use screws appropriate to your wall type (8 gauge x 35mm countersunk screws are appropriate for most situations). Fix the screws through the holes provided in the centre of the base plate to a wall stud, then wallmates and screws into the left and right of the plate then simply slide the rack arms into the channels provided, from top to bottom so simple.